If Pointless about to leave our screens has you distressed, never fear, SBS has you covered. “After 35 years the toughest quiz on television is back,” Jennifer Byrne told Mastermind viewers last night. Slipping into the 6pm timeslot with ease, the world’s most ominous quiz would almost pass for Russian spy interrogation if it were not for our charming Quizmaster who smiles whenever she is not in gruelling game show mode. The small studio audience is faintly in shot in this darkly-lit studio where the empty black chair is the star (if such a thing is possible) and awaits each of the 4 players who will be tested in 2 rounds. The first is 2 minutes on their specialist subject, while the second is 90 seconds of general knowledge. At the end of the week (Friday tests 4 x episode winners) one will proceed closer to a Grand Final. On offer is the series title and artfully-designed glass bowl. Yes, Mastermind is Hard Quiz without Tom Gleeson’s snark. In the first episode contender (and not contestant) Scott Appleton is tested on George R.R. Martin’s books “A Song of Ice & Fire.” I’m a little surprised he isn’t in cosplay given the date, but his first answer is ironically correct: “You know nothing.” Is someone pulling our leg to make that the very first question on Mastermind? The second contestant Kathryn Abbott, is an expert in Epidemiology, the study of diseases. She also answers her first question correctly: “John Snow.” Wait a minute, shouldn’t that be a question for the first bloke? Also stepping up to the chair were Chris Ho to be tested on the History of Wimbledon Championships in the Open Era and Donna Thomas, expert at the History of French Cuisine from 1300 -1900. 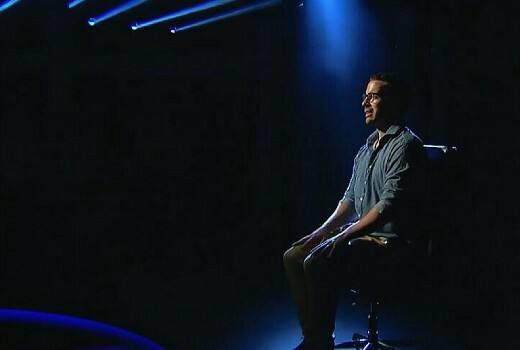 The show’s long running format is unforgiving in its pressure on contenders. The camera doesn’t leave them during a quizzing round in an attempt to maximise the intensity. Mastermind is also not designed to be played along at home. The level of detail in the questions would test any research department, although some in the General Knowledge round were more broader and populist. After 2 rounds the winner is declared, dispensing with any endgame, double points or ‘fast money’ style rounds. And if there is any catchphrase likely to emerge then it is surely Byrne’s “I’ve started so I’ll finish” when the buzzer calls time on her questions. SBS also ensured there was good diversity amongst its 4 contenders, further justifying its inclusion on the schedule. The show is firm but fair and relatively no-fuss, meaning there is a good chance it will lift the low-level slot, abetting SBS World News. And it may just silence those Letters & Numbers fans who have seemingly never forgiven the broadcaster for dumping it back in 2012. Now SBS has started Mastermind, at least we can hope Jennifer Byrne will get to finish it. Mastermind airs 6pm weeknights on SBS. Yes I agree the faster you answer the more questions you can receive, but gee, one player gets 8 questions, another gets 11, another gets 12. All seemed to be answering at much the same pace. A great review. Yes, it is up against the powerful Seven and Nine News, but hopeful it gets a boost in ratings and helps as the lead in to the SBS News. I’m a fan of most quiz shows, and also a fan of Jennifer Byrnes. I will watch it. I thought the irony was that the first contender came last and that Jennifer appeared to be getting laryngitis. I started wondering if Denise Scott would be available at short notice just in case. It’s extremely difficult to play along at home, unless by chance you have recently studied French cuisine of the 13th century. I won’t be tuning in again, and I really wish they’d bring back new episodes of letters and numbers.